Co. Louth: Ballymascanlan (2), Barronstown, Carlingford (3), Casterling, Castletown, Upper Creggan, Darver, Dromiskin, Drummullagh, Dundalk (7), Foughart, Haggardstown, Jenkinstown, Killany (2), Louth (2), Rathcorr, Ravensdale. The Board also included 10 ex-officio Guardians, making a total of 40. The Guardians met each week on Monday at 11am. The population falling within the Union at the 1831 census had been 63,911 with Divisions ranging in size from Ravensdale (population 1,654) to Dundalk itself (13,288). The new Dundalk Union workhouse was erected on an eight-acre site a mile to the south-west of Dundalk. 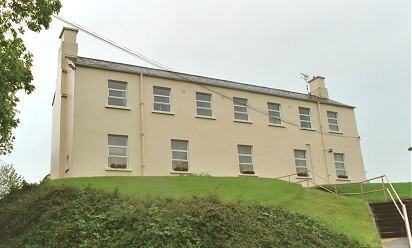 Designed by the Poor Law Commissioners' architect George Wilkinson, the building was based on one of his standard designs to accommodate 800 inmates. Its construction cost £5,690 plus £1,387 for fittings etc. The site location and layout are shown on the 1911 OS map below. The workhouse was declared fit for the reception of paupers on 1st March, 1842, and received its first admissions on 14th March. During the famine in the mid 1840s, a 48-bed fever hospital was erected in an elevated position at the south-east of the main building. School rooms were converted into day rooms and sleeping galleries were erected to accommodate an extra 120 inmates. 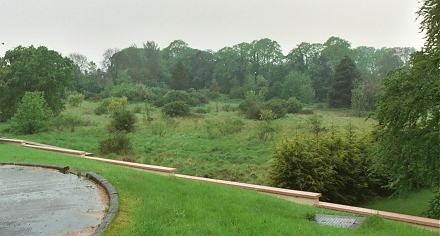 The surviving remains of main workhouse building were finally demolished in 1987 although traces of brickwork can be found amongst the now grass-covered site. The fever hospital which dates from around 1847 survives. 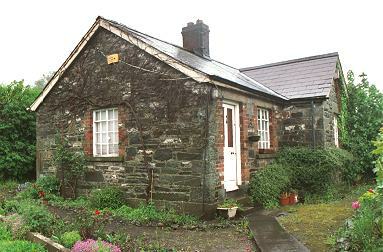 A porter's lodge of unknown date still stands at the northern entrance to the site. The main workhouse buildings were demolished in 1987. The site is now occupied by St John of God Hilltop Services. Louth County Archives Service, Old Gaol, Ardee Road, Dundalk, County Louth. Holdings include Guardians' minutes (1839-1924); etc.